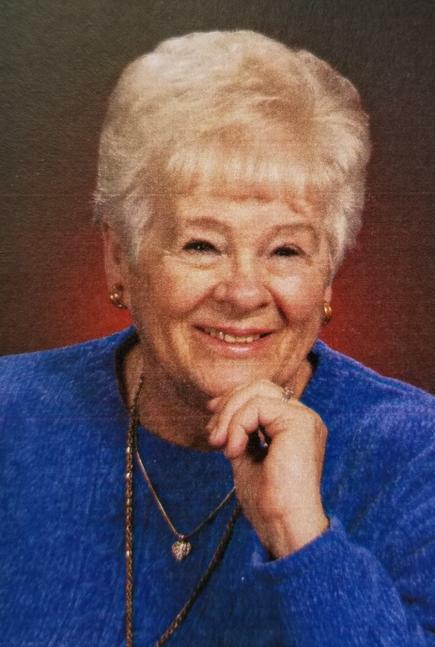 Beverly "Bev" J. Middleton, 86, of Gothenburg, Nebraska, died February 7, 2019 at Hilltop Estates, in Gothenburg, NE. "Death took her body, but God took her soul". Bev was born December 3, 1932 on the family farm near Homer, MI, daughter of Murl and Helen (Roepke) Swayze. The family moved to Chicago when she was three; then they moved to Montana where she started elementary school. They then moved to Wisconsin for a couple years before moving to Stillwater, MN. Bev graduated from Stillwater High in 1953. A year later, she married and to this union four children were born - Sandy, Bryan, Randy and Joy. The marriage later ended in divorce. While living in MN, she worked for St. John's Hospital as a private nurse before moving to Nebraska. In 1973, she married Sumner Middleton, the love of her life. She enjoyed cooking and baking, and then sharing these gifts with family and friends. She also had a large garden which she gave away or canned. Sumner and Bev built a home at Jeffery Lake soon after they were married and they lived there for the next 23 years. After his passing, she continued to live there for a few years until moving to Gothenburg. Bev was a member of the "Red Hats" and was a Calendar Girl with the Brady Beauties. She enjoyed reading and was a member of the Library. She loved helping people whenever she could. She taught preschool Sunday School at Church for many years. She was a member of the Extension Club. She spent many hours crocheting and made a crib size blanket for each of her grandchildren and great grandchildren. Bev was known for her sense of humor and the great love she had for her family. She was preceded in death by her beloved husband Sumner, her parents; daughter Joy Kuhlman; son Randy Haugen, step-son Dave Middleton, brother Gene. Survivors include her family Sandy (Tom) Burnett, Bryan (Tracy) Haugen, Deb Middleton, Steve (Katherine) Middleton, Cathy Russo; grandchildren Bob (Peggy) Bailey, Brenda Bailey, Tara Reinheart, Danielle Haugen, Matthew Haugen, Joshua Haugen, Nick Sitorius, Jake Sitorius, Sonie Kuhlman, Ellie (Rob) Krysl, Ben (Amy) Middleton, Sam Middleton, Mary (Blake) Streeter, Will Middleton, Alysha Haugen; great grandchildren Hanna, Loren, McKenzie,Teagan, Trenton, Bailey, Dakota, Summer Haugen; Ryder Giese; Aspen, Jadyn, Nathan, Quinton, Kaitlyn, Natalie Sitorius; Miles, Maggie Streeter; Leo Middleton; and her devoted dog Princess. Visitation will be held at Blase-Strauser Memorial Chapel, Gothenburg, Nebraska; Thursday, February 14, 2019, 1:00 pm - 7:00 pm. Funeral Services will be held at Blase-Strauser Memorial Chapel, 620 Tenth Street, Gothenburg, NE, Friday, February 15, 2019 at 11:00 am. Inurnment at a later date in the Peckham Cemetery, Gothenburg, Nebraska. Memorials may be given to the Brady United Methodist Church, 301 N Market, Brady, NE 69123 or St. Jude Children's Research Hospital, PO Box 1000, Dept 142, Memphis, TN 38148.